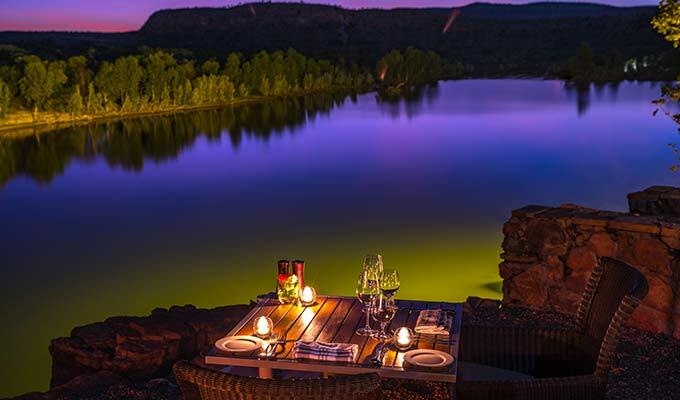 At El Questro Homestead, food and wine are as much an attraction as the wild country that envelopes the property. 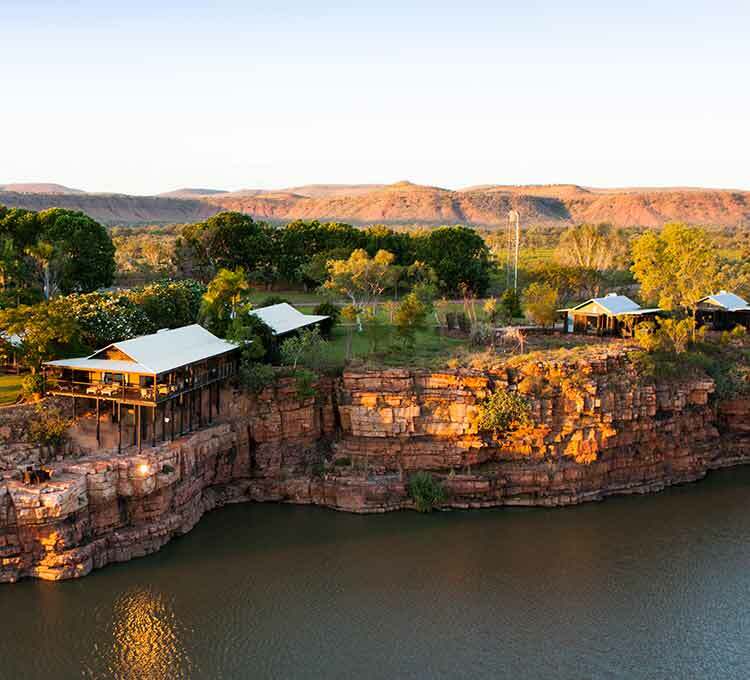 Every meal is brimming with ingredients of superb pedigree and quality, leaving guests to forget that 3,500 km of rock and desert lies between the Kimberley and Perth. The neighbouring Ord River Valley nurtures growers who provide a vast array of tropical and organic produce, supplemented by the abundant riches of Western Australia’s coastlines and paddocks. Guests are encouraged to choose from a selection of dining locations, from a private cliff top to the Homestead's spacious verandas. Wherever guests decide to dine, it will almost always be situated under a canopy of stars. Chef Alan Groom’s spirit of generosity is always evident, as in his hand crafted fare and bountiful luxe flourishes, married together in simple preparations that allow the flavours to shine. Guests enjoy their breakfast in true country style on the wide, sweeping verandah with views of the range as it casts perfect reflections in river below. Local Ord Valley treasures include giant red paw paw, ripe fragrant melons and hand squeezed pink grapefruit juice. Breads are hand made by Alan and feature a different sour dough variety each day. An old fashioned butcher crafts double smoked spec bacon, herb sausages and even black pudding to exacting standards. From farther a field, Scottish Kippers and Canadian maple syrup represent Chef’s dual roots, providing familiar comfort to visiting travelers. The three course menu changes nightly, offering a perfectly balanced selection that won’t be duplicated throughout your stay. Exceptional Western Australian lamb and beef or wild Cambridge Gulf Barramundi follow glazed quail or local fresh water scampi. Desserts reveal the chef’s talent for precise techniques that deliver vibrant flavours. Alan Groom has been a fixture at El Questro Homestead for 15 years, moving to Australia from Canada in 2001. 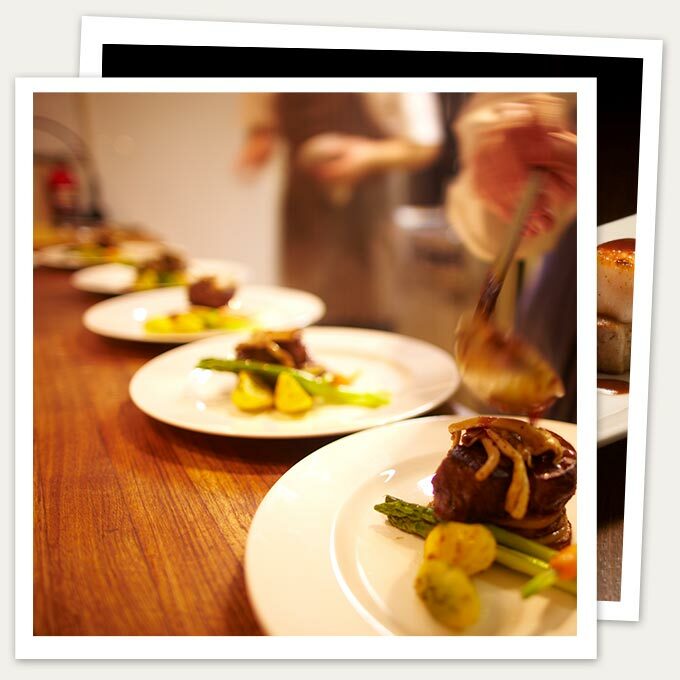 He boasts a resume filled with award winning Boutique Hotels and Restaurants in Canada and the UK. He was named Chef of the Year in Vancouver for his work at the Wedgewood Hotel and won the Best Restaurant award twice for The Belvedere in Calgary. Alan's cooking showcases the freshest produce from the Kimberley region. His philosophy is all about quality and simplicity.